Due to the specialized nature of its programs, the Faculty only allows engineering students, or previously admitted students upgrading their academic standing, to register for engineering and computer science courses, unless given a special permission. If you have failed a mandatory course for a second time, you must ask for permission to retake the course a third time in order to be able to continue your program of studies. Please send your request to bacinfo@engineering.uOttawa.ca. Students can upgrade their academic standing by taking approved courses at the Faculty. Monday to Friday, 9:00 a.m. to 4:30 p.m.
Monday to Friday, 9:00 a.m. to 3:30 p.m. 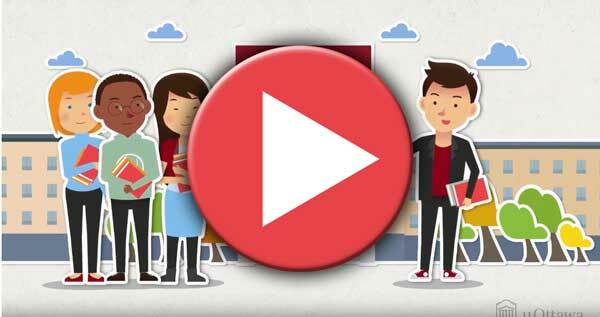 Check out our animated introductory video and our tutorials on specific enrolment functions.